I work with women who need guidance in developing their professional style. If you are a mid level executive woman and you need to develop a professional wardrobe to move forward in your career, I can help you polish your image and find a style that is professional and unique. 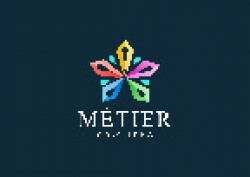 Aegeda Riggins is the owner of Métier Consulting LLC. She guides entry level to mid level executive women guidance in developing their professional style. Her services include style and image consulting, presence, employment interview consultations and resume design. She also offers presentations, seminars, and workshops designed to build and enhance the clients personal brand.